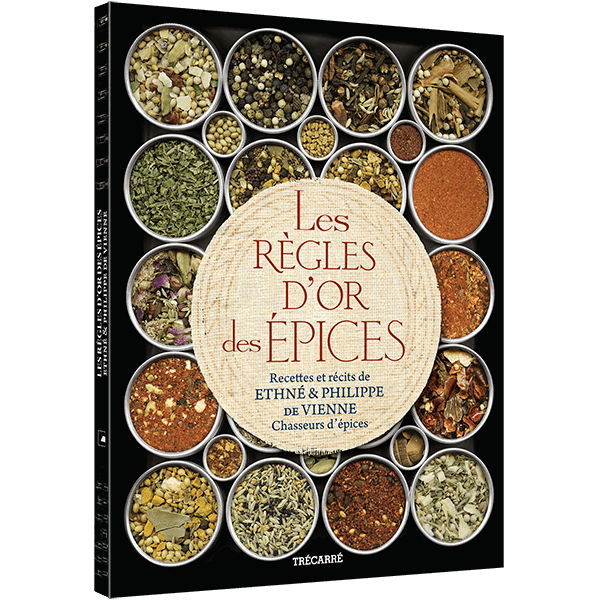 Ethné and Philippe de Vienne have spent the better part of the last 20 years in search of the world’s most exceptional spices. 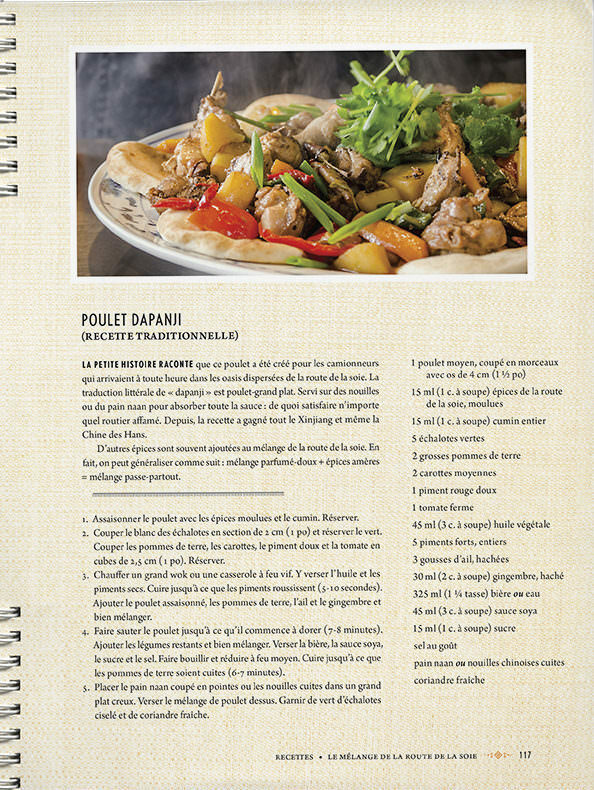 Along the way, they’ve created their never-before-published theory based on four rules which are simple and well illustrated by the 60 recipes in their new book. 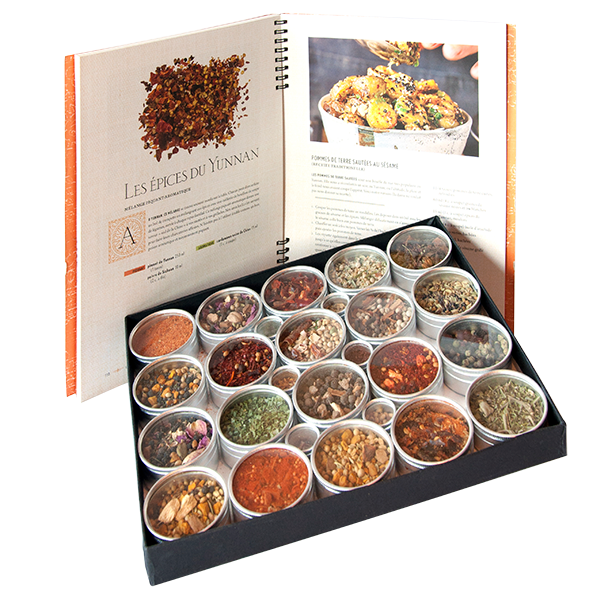 The Golden Rules of Spices is a large-format cook book with a companion box set of 20 spice blends and 6 spices. 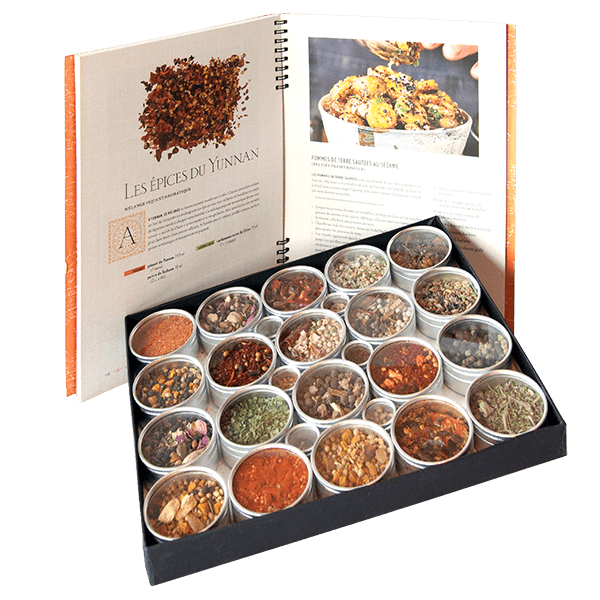 Clearly outlined categories– based on the taste profiles of spices and blends –greatly facilitate and demystify the use of spices in everyday cooking. At last, we can now understand why it is possible to use a blend such as Chinese Five spices for a stir-fried pork filet or a traditional apple pie! 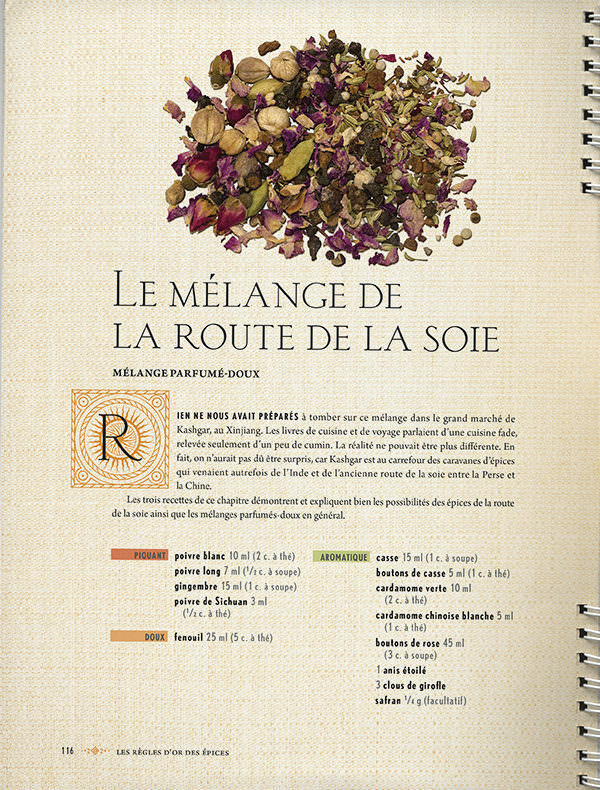 Better still, a well-illustrated guide informs us which spices can be substituted for another – and which cannot. Substituting a blend changes the flavor of your favorite recipe, but not the taste. 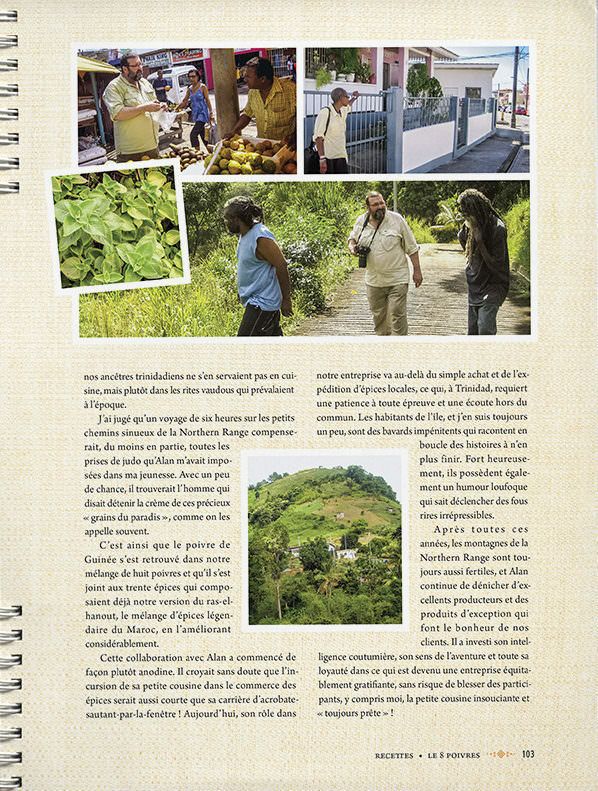 As usual , you can accompany Ethné & Philippe on some of their spice hunting adventures throughout the world by way of intimate portraits that showcase some of their mentors and suppliers.